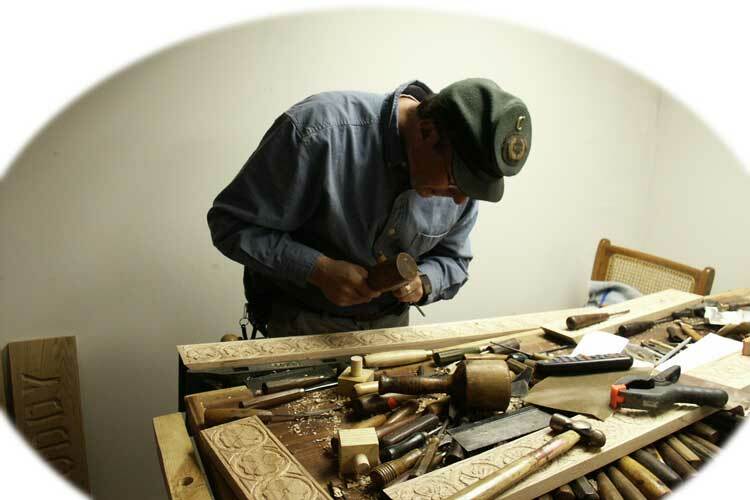 "Since I can make the furniture from scratch, it follows that I can also fix it. Antique restoration is an art in itself. One has to know how the piece was made. I know how a piece was made, Larry Grinnell saw to that. I can make almost any furniture part, restore old finishes, and make missing carvings and moldings. I do museum-quality restoration work. Recently I have been performing several restoration tasks for the New Jersey based Son's of Civil War Veterans, Camp Olden Round Table, and the Swan Foundation, for all of which I am an active member volunteering my time and skills. I will also tell you if it is worthwhile to restore a piece. I only like to do work that will enhance the value of a piece of furniture, and shy away from accepting jobs that will not provide a return on investment. An antique that is truly a piece of artwork, or has a history of sentimental value is worth the task of restoration. Restoration work is always done at the owner's risk. I do not lose many pieces, but once and a while a piece just dies and is beyond saving."